Imaginative play is starting in full swing for Gemma as she approaches three years and I am trying to help her have fun in her newfound adventureland. I came up with a cute idea, somewhat out of end of summer boredom, to turn our backyard into a treasure hunt for her. Since I made this map I figured this might be a good game for her and dad to play on a weekend. 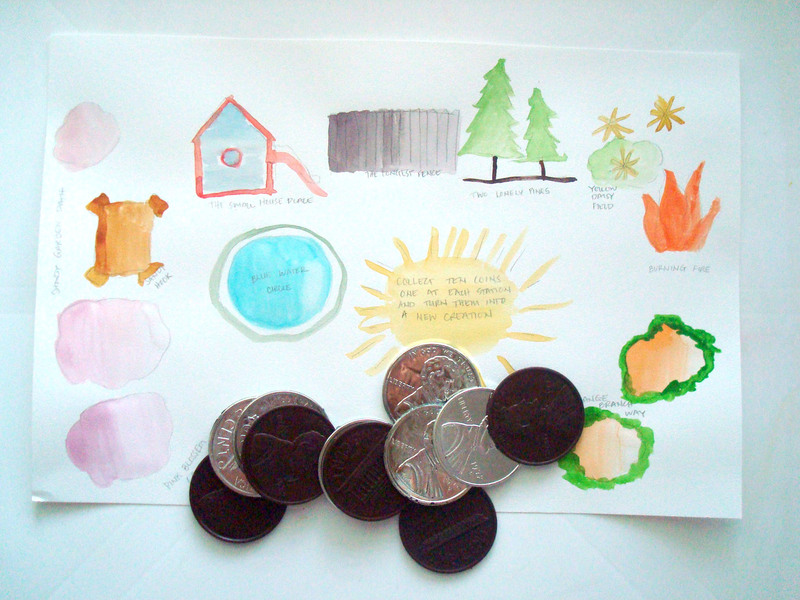 I plan to hide these dollarstore giant coins one at each station and then give her the map. With dad’s help she can collect ten and “turn them into a new creation” at least that’s what the treasure map says…. I am thinking of making the treasure just some cool shiny object but perhaps there could be a simple toy or book as a prize. This would be really fun at a toddler birthday party too. To make the map, I simply sketched out some landmarks in our backyard and gave them inventive names like “two lonely pines” and “pink blossom trees” I called her clubhouse “the small house place”… you get the idea! 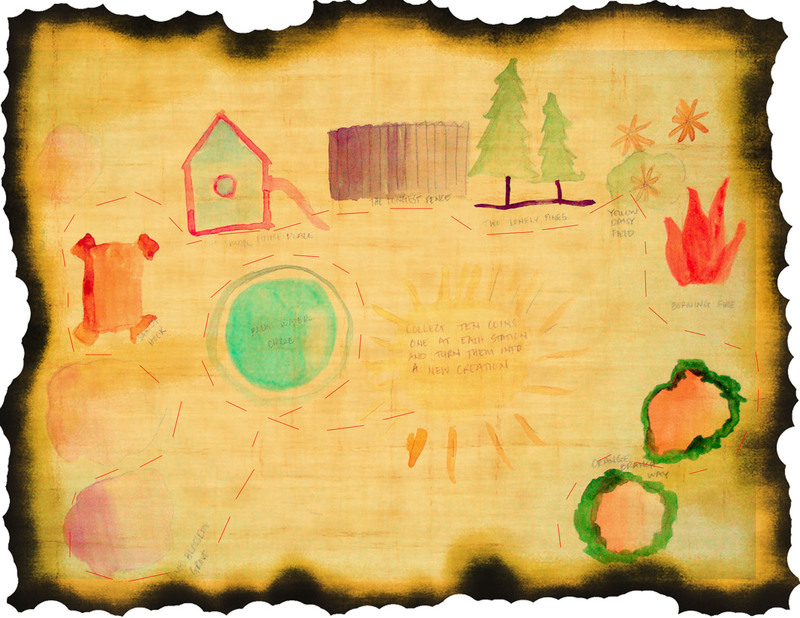 I then watercolored them and in photoshop overlayed my treasure map over an old paper map. I also wanted to share this little scavenger hunt I made for some of our co-op friends! We completed it this morning and it was a lot of fun. We were able to mark off everything on the list with a walk around the block. 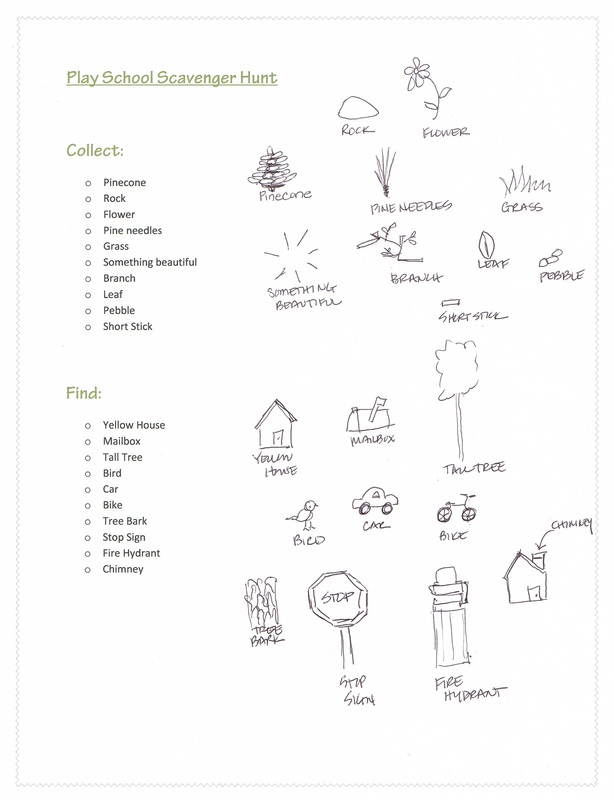 Below are the toddler treasure map and scavenger hunt in PDF format for you to enjoy with your family. What are you doing in the last days of Summer? We had fun that day too! Yay for naps… we need them!